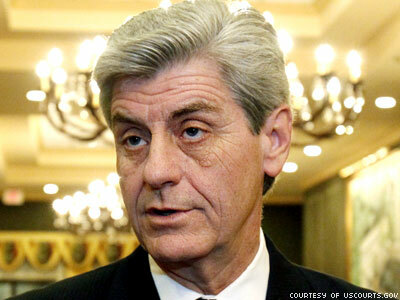 Mississippi Republican governor Phil Bryant today signed a bill into a law that will allow business and individuals to deny service to anyone in the interest of religious liberty, according to ThinkProgress. Grassroots LGBT organization GetEQUAL was the first to send out a statement condemning the governor's signing of the bill, while pledging to continue fighting such anti-LGBT efforts. "We had hoped that the governor would see that this bill will further isolate Mississippi within the business community," GetEQUAL said in a press release. "We had hoped that the governor would see that this bill will hurt those who live in the state or who are considering moving there. We had hoped that the governor would see that this bill will, in fact, hurt his own family and people who he loves. We had hoped that the 'family values' that the governor espouses would hold true and that he would act in a way that fully values his own family. Unfortunately, hatred and ignorance won out today — and our hearts are with those fair-minded Mississippians who call the state home." When the bill first passed the legislature, LGBT organizations condemned it, drawing harsh comparisons to Arizona's vetoed SB 1062, which caused a national uproar that involved the NFL and major corporations urging Republican governor Jan Brewer to veto the bill. The Mississippi law makes no explicit mention of "sexual orientation," "gender identity," or even "marriage," and neither did Arizona's proposed law. Still, LGBT advocates warn that it will have the effect of legalizing discrimination against the LGBT community. And it could unravel any effort to pass antidiscrimination ordinances at the local level. "Even though the Mississippi legislature removed some of the egregious language from Arizona’s infamous SB 1062, we are disappointed that it passed this unnecessary law and ignored the national, public outcry against laws of this nature," said Eunice Rho, advocacy and policy counsel with the American Civil Liberties Union in a statement last week when the bill passed both chambers of the state legislature. "We will continue to fight in state legislatures across the country to ensure that religious freedom remains a shield, not a sword."